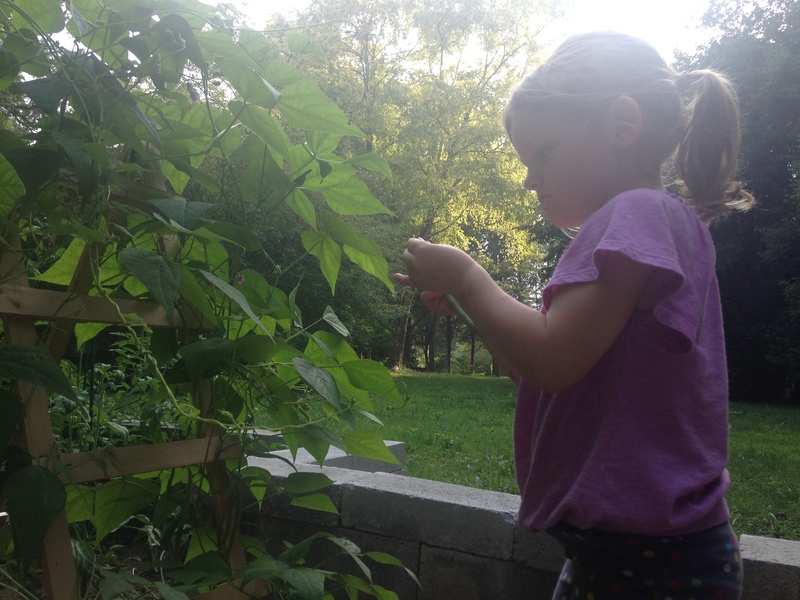 I am proud to say my daughter experienced her first fresh-from-the-garden meal. 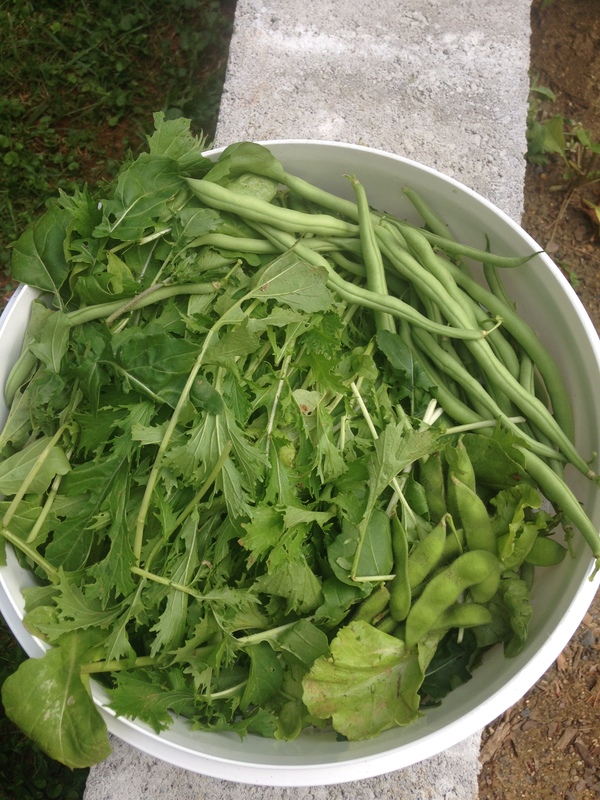 We spent our Friday evening picking salad greens, green beans and edamame. 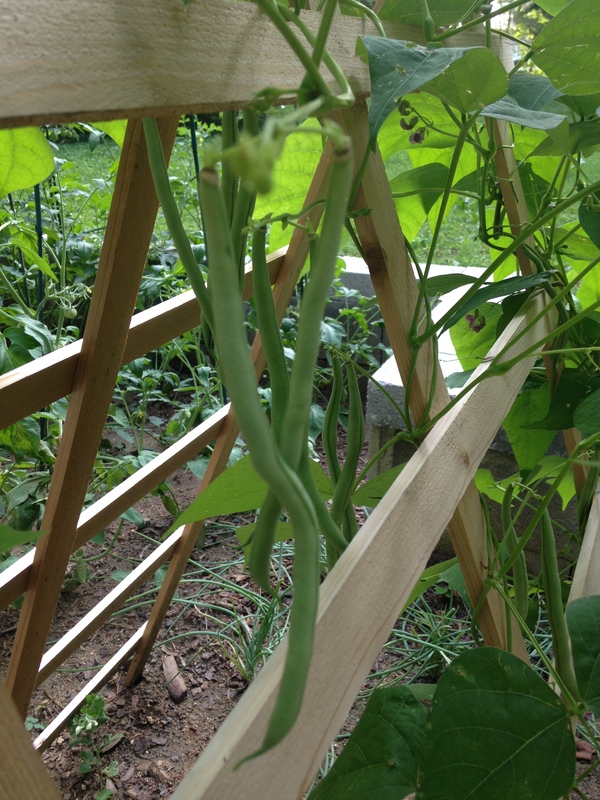 The green beans have done extraordinarily well! 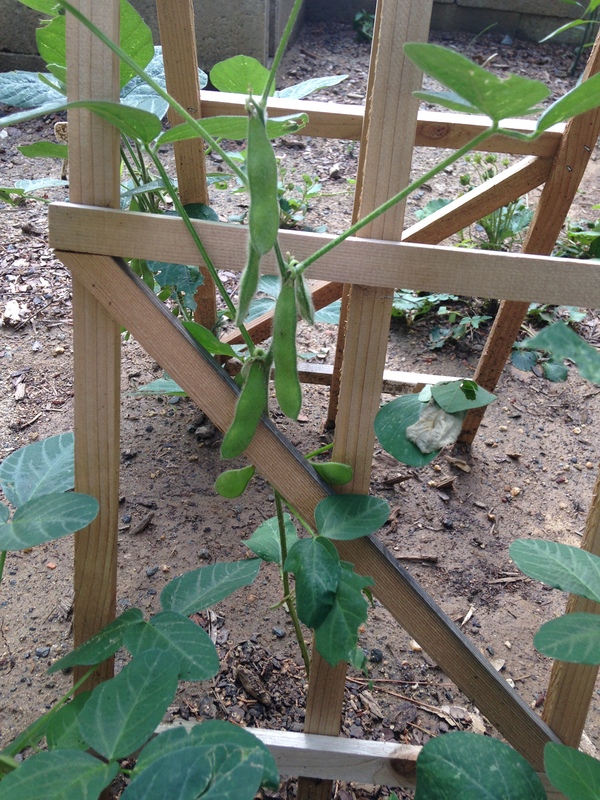 And the edamame are beginning to produce a small yield. 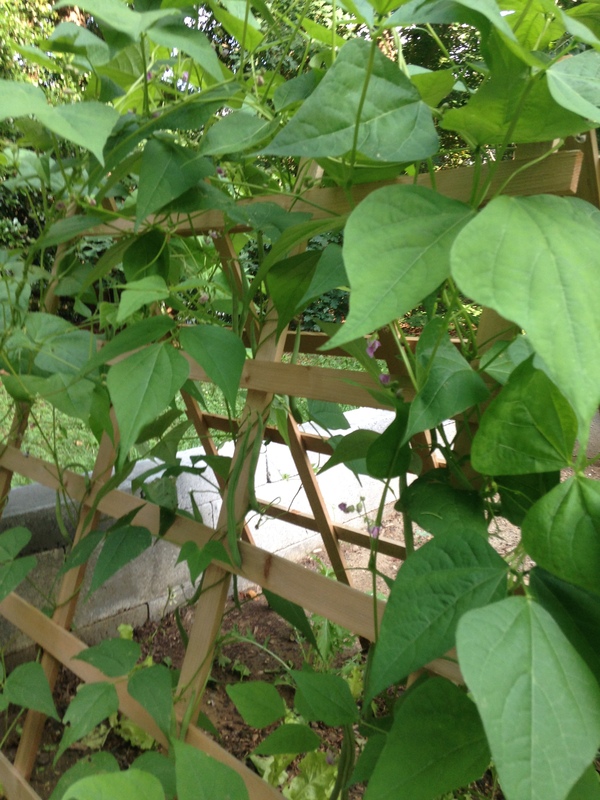 In retrospect, I should have planted more edamame seeds. Lesson learned. BUT, we still walked away from the garden with a large bowl of fresh produce. 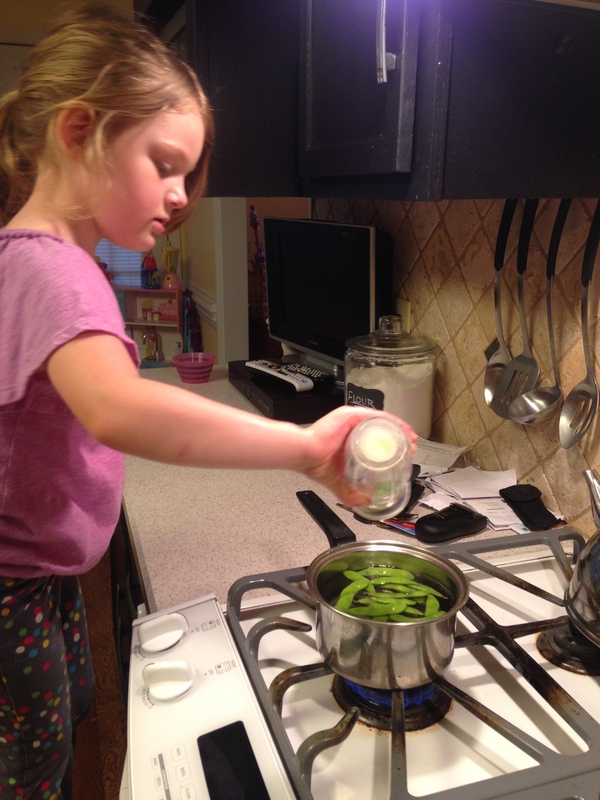 My trusty sidekick helped me boil up the edamame. And she ate them all. 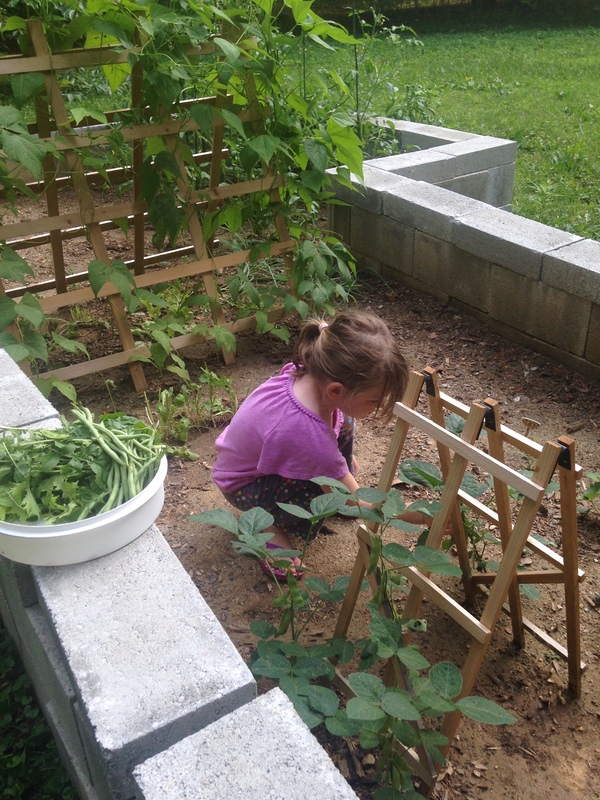 ← See our garden grow!